See our full range of Epson printers. Talk to our team of experts for advice today. Our extensive range of Epson printers are available in new and used models, suitable for any office or industry need. Printing has never been easier with the connectivity of Epson printers. Print with smart devices, use cloud printing and other technological integrations designed for productivity. Customise your service agreement to fit your business, and Epson printer and photocopier needs. Routine maintenance, toner refills and repairs will be handled by our team. New and used Epson printers can be covered under warranty. Decide on a warranty model that will give you peace of mind and keep your model running smoothly. Our new modern Epson printer range can be purchased outright. Should you require, payment options are also available as well as renting models for a period of time. Our used Epson printers have been serviced and refurbished so that they perform to the high standard of the Epson name. You can be be confident your printer will perform to industry standards. For over 25 years, our Epson printers have been providing support to offices and businesses across Melbourne. Your workplace flow and budget expectations will set the basis for our Epson printing solution recommendations. Our skilled technicians are here to make sure your Epson printer is working as it should, and these onsite visits can be arranged at a time suitable for you or even a convenient same-day call. Expect routine maintenance, toner refills and repairs of your Epson printers as part of your Copysonic service agreement. Looking to maximise efficiency? Ask us about our range of Epson printers in Melbourne. Contact our knowledgeable technicians to find out how our Epson printers can add immediate value to your business. Face-to-face meetings can also be arranged. Based on your unique budget and workflow requirements, our team will put forward different quotes for you to select the most fitting Epson printer for your needs. 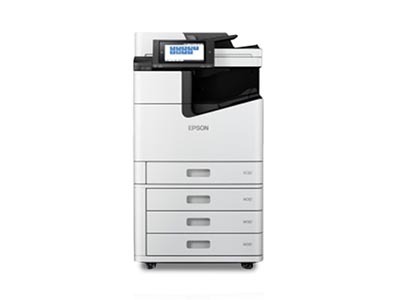 You can pay for your new or used Epson printer outright or select a financing payment plan to pay in increments. Lease agreements are also available for short-term plans. Allow us to confirm with you a date to deliver and install your new Epson printer or photocopier. Our technicians will then install and integrate the machine into your office network. Your service agreement will cover any maintenance and repairs that may follow in the future, and our technicians are able to walk you through your model functions. Can I purchase a new or used Epson printer or photocopier from Copysonic? Yes, you can. We stock an extensive range of new and used Epson printers in Melbourne. Can you repair and service Epson printers and photocopiers? Our professional Copysonic technicians are able to service your maintenance, repairs and refill requests in a short time-frame (usually same day). What type of warranty can you provide for an Epson printer or photocopier? Depending on your service agreement, your Epson printer or photocopier can be covered under warranty. Do you sell any Epson models with cloud printing and smart device integration? Our Epson printers are designed with workflow and technology integration in mind. 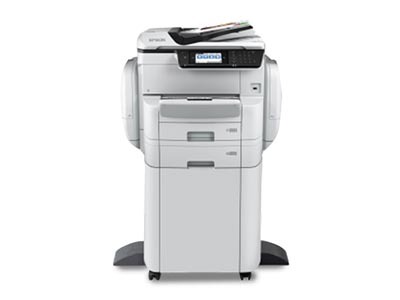 Depending on your model, your office can access the Epson printing solutions through smart device integration. If there is anything else you need to know about our Epson printers, we can help. Get in touch with us and we'll get back to you soon.